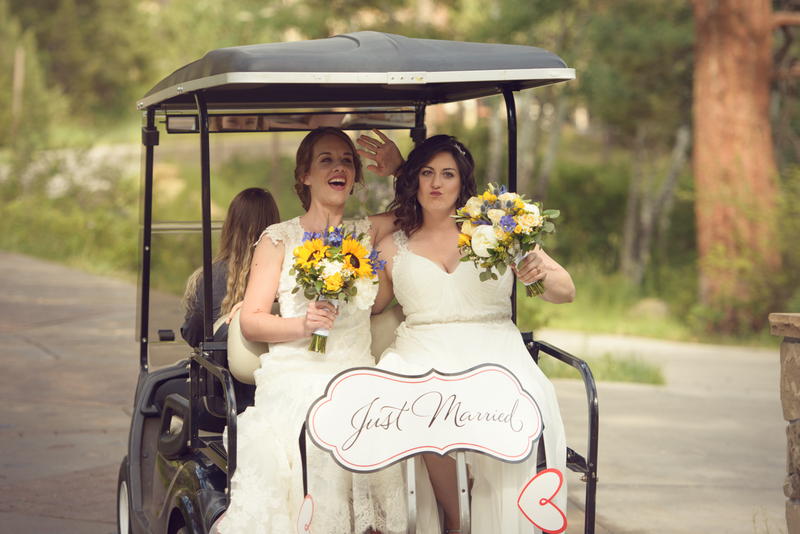 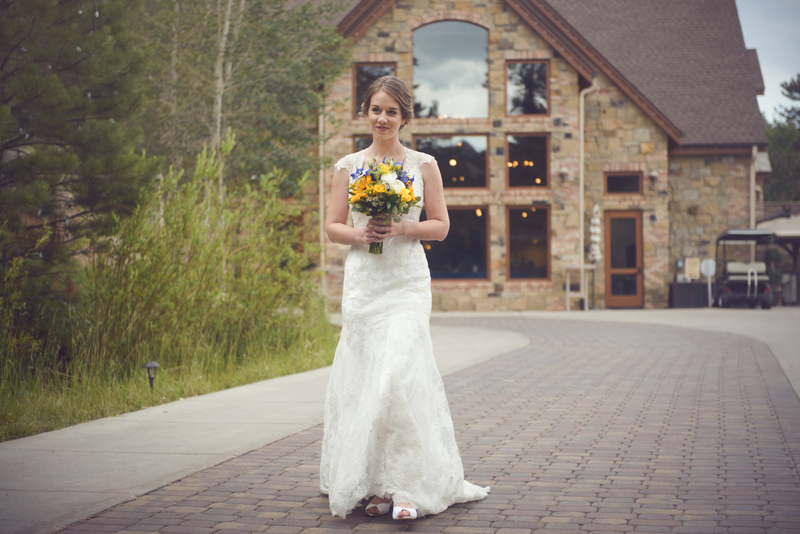 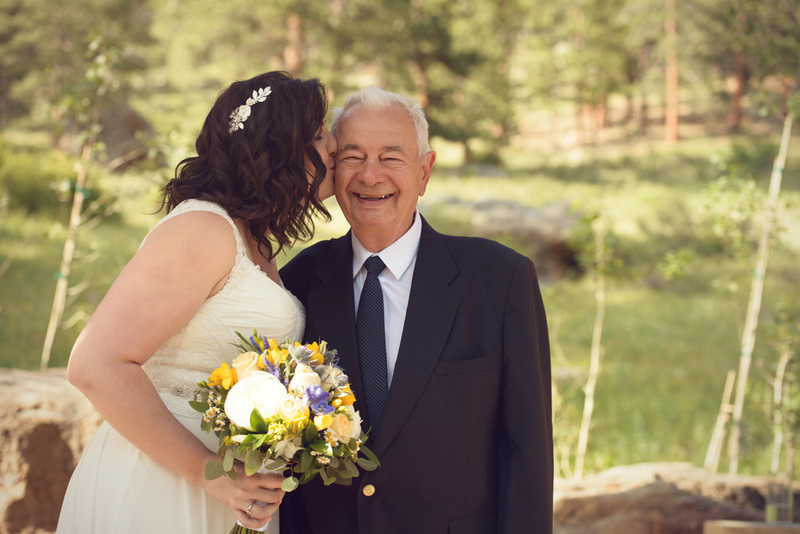 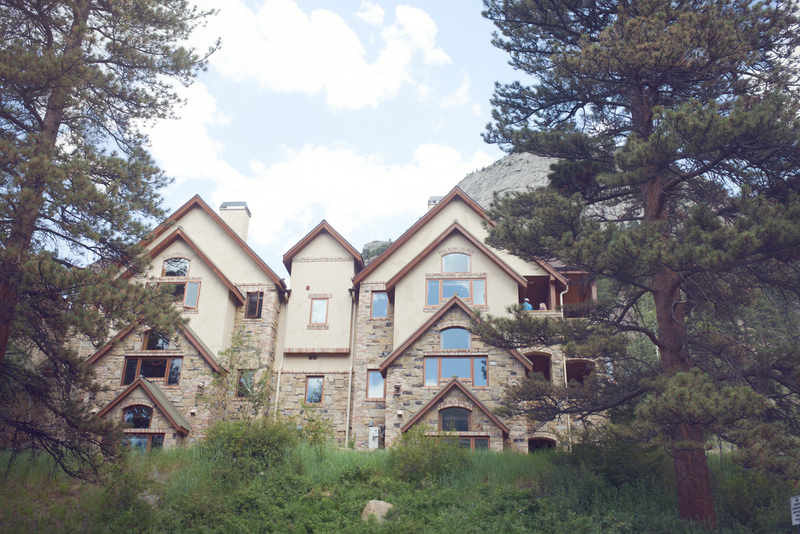 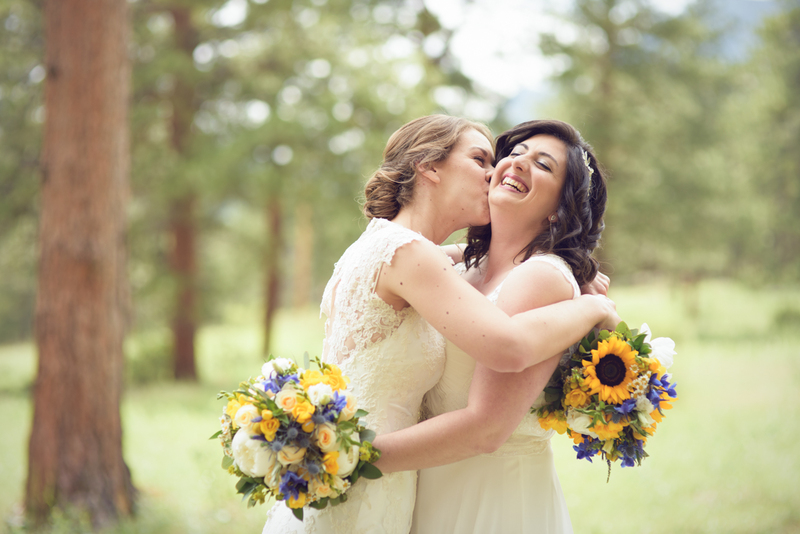 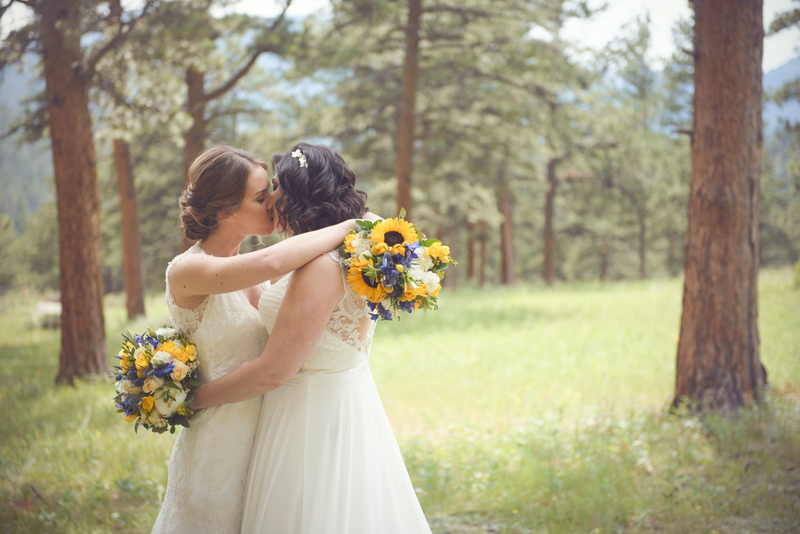 Lauren and Katie got married on a sunny day at the beautiful Della Terra Mountain Chateau in Estes Park, Colorado. 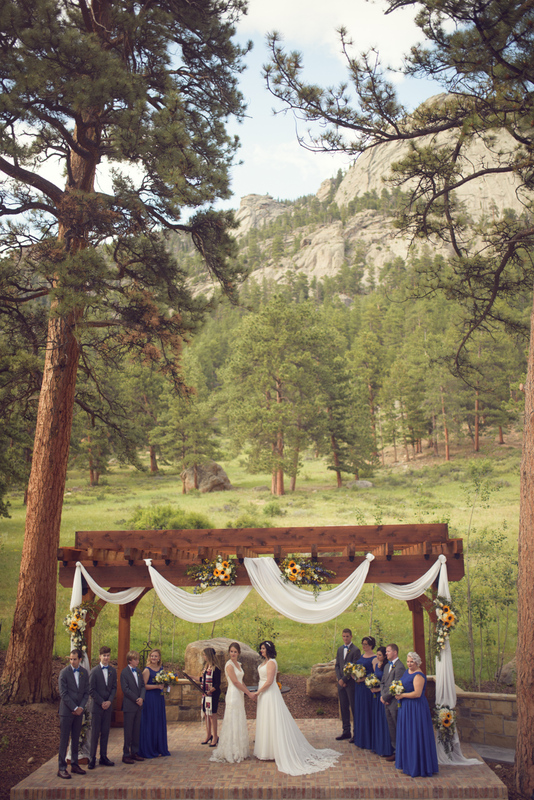 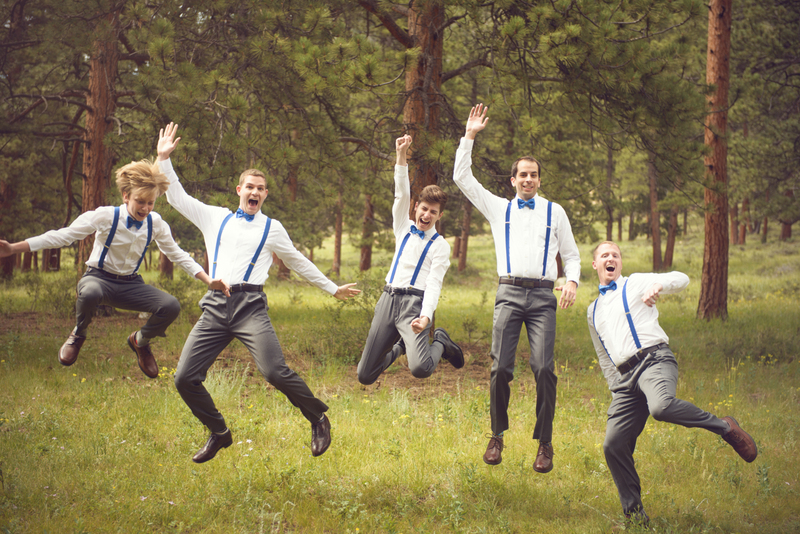 Located near the entrance of the Rocky Mountain National Park, this gorgeous wedding venue looks like a fairy tale with it’s gorgeous stone buildings and manicured grounds, all of it surrounded by majestic mountain and evergreen trees. 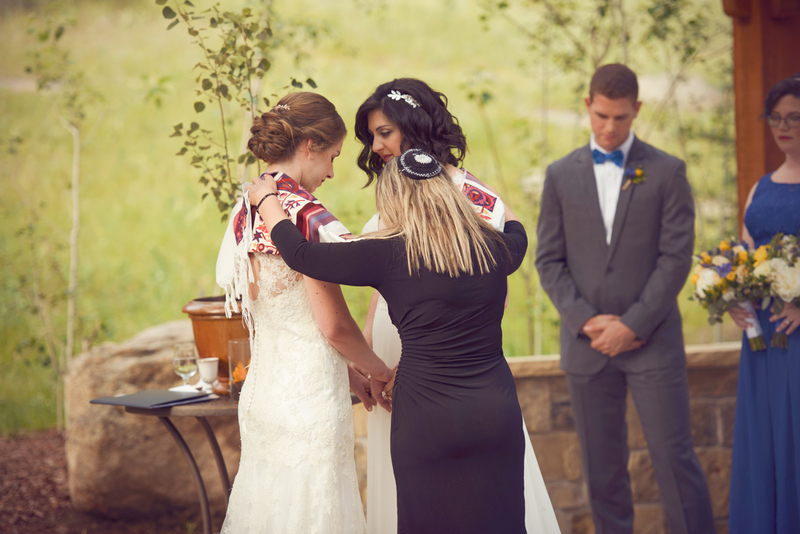 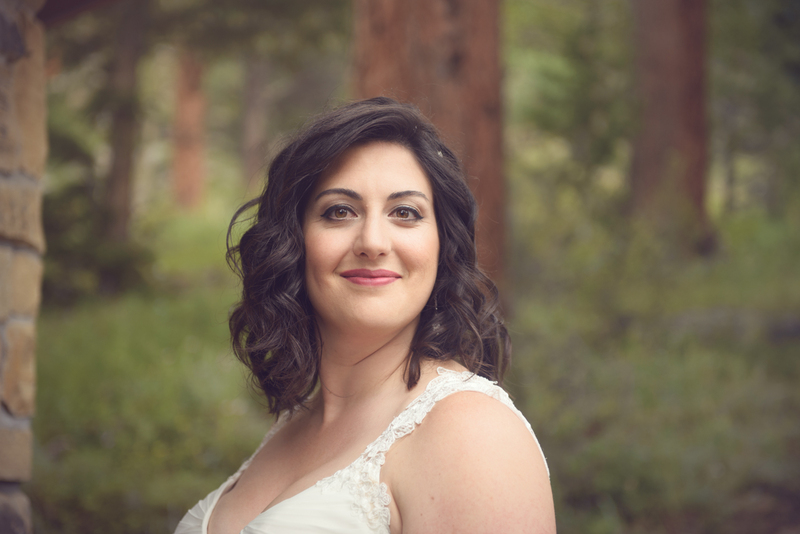 Lauren and Katie had a traditional Jewish wedding. 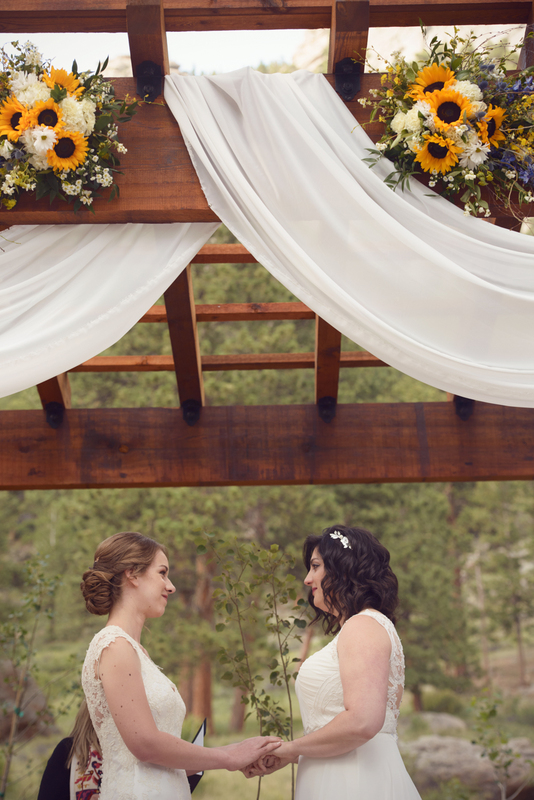 Every single detail of this event was carefully planned to incorporate the natural beauty of the mountains and the brides’ interest. 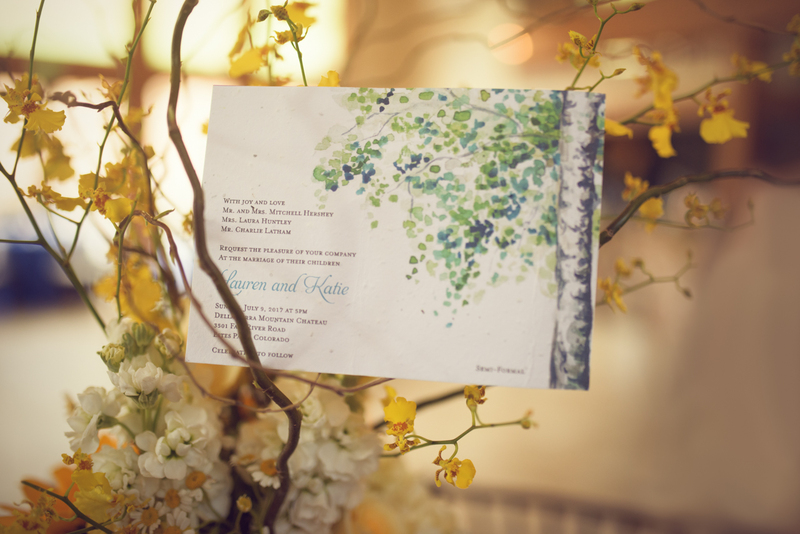 Lauren and Katie’s invitation, for example, turn into wildflowers when you plant them (they have seeds embedded inside them). 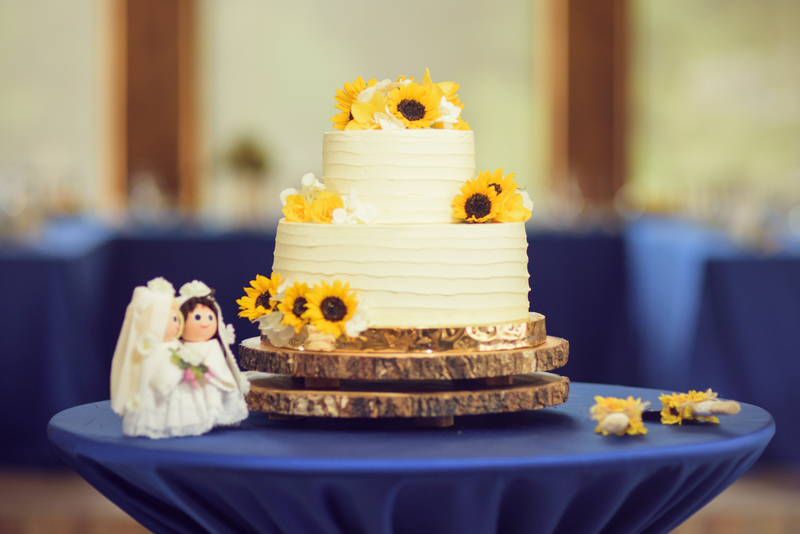 The mother of the bride created custom printed chocolate bars, playing on Lauren’s last name (Hershey). 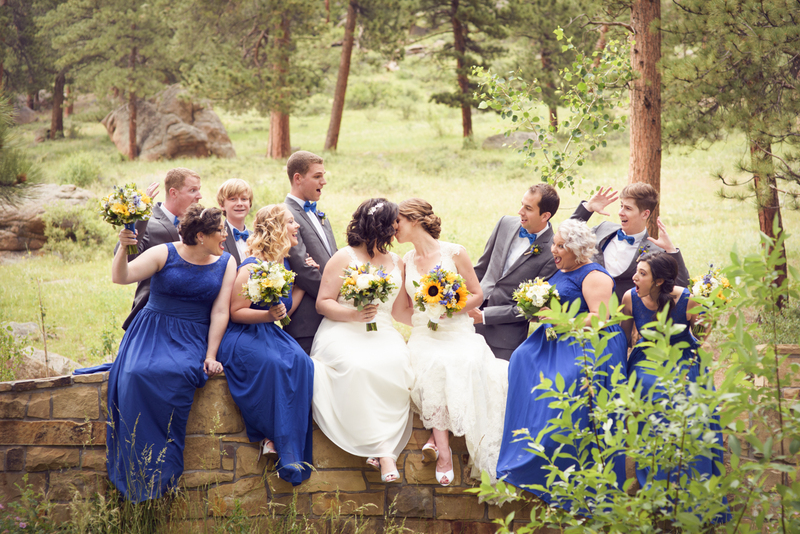 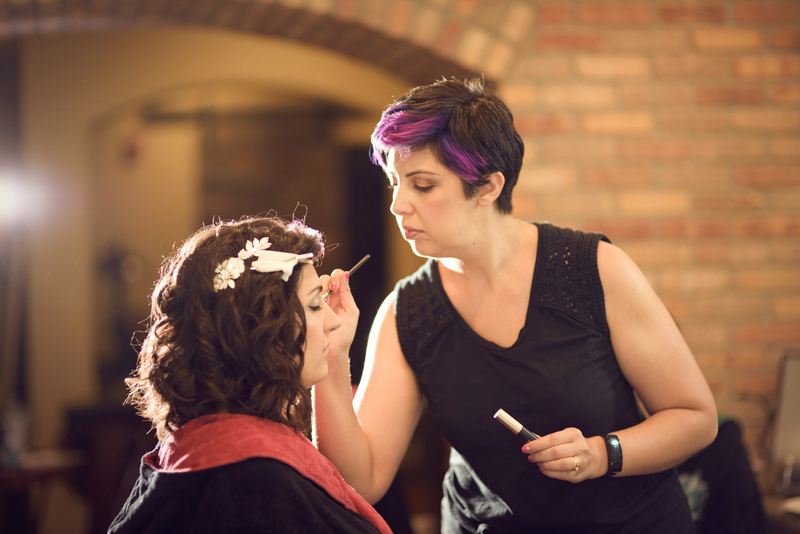 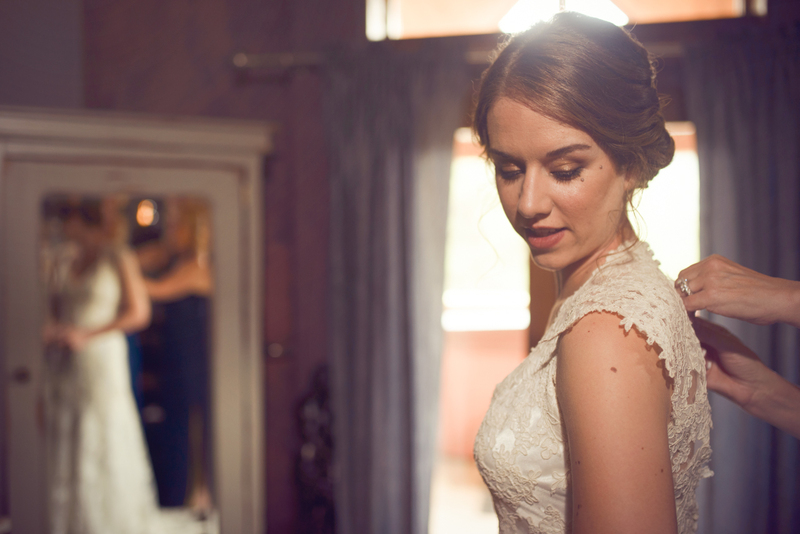 The brides’ dresses matched beautifully along with simple and gorgeous hairdos and flowers. 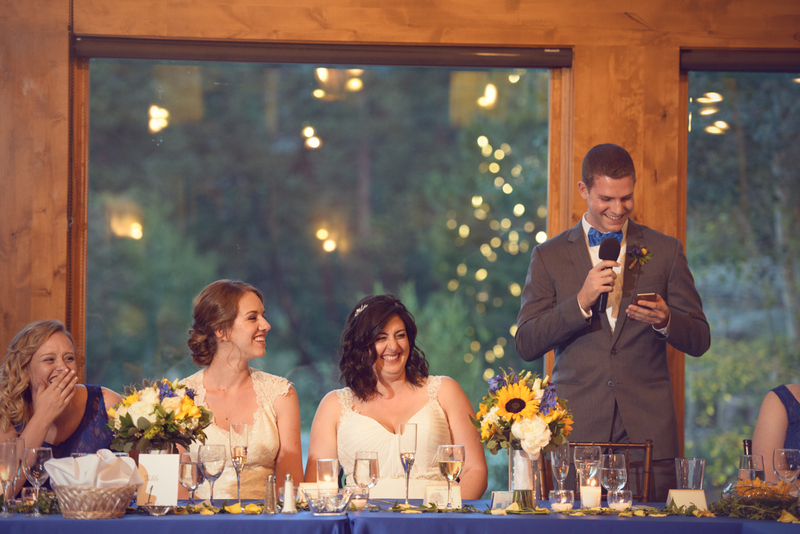 What makes this wedding truly unforgettable is the rabbi’s speech during the ceremony, where she talked about the power of the feminine. 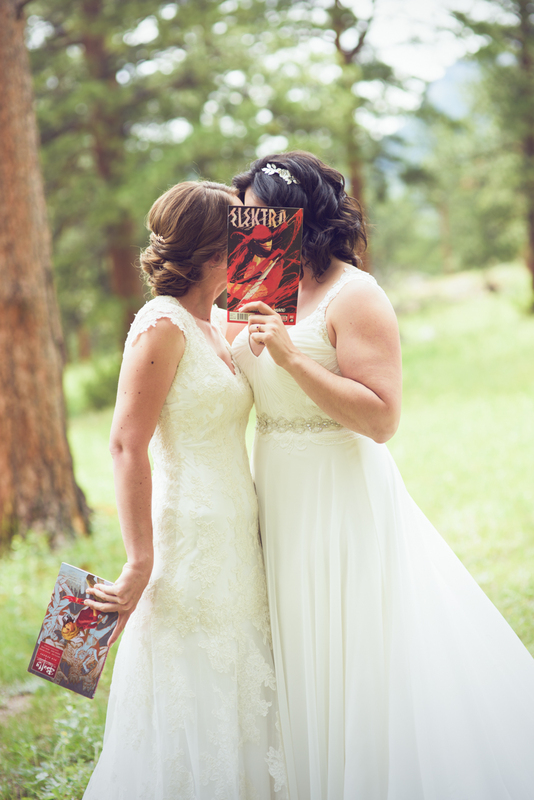 We could feel this power all around us. 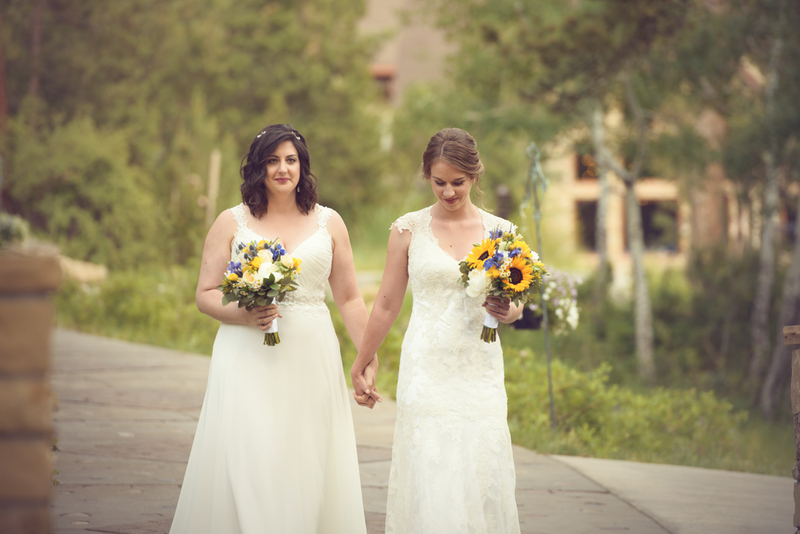 It was the unstoppable power of two individuals who love and care about each other, two people who balance each other completely. 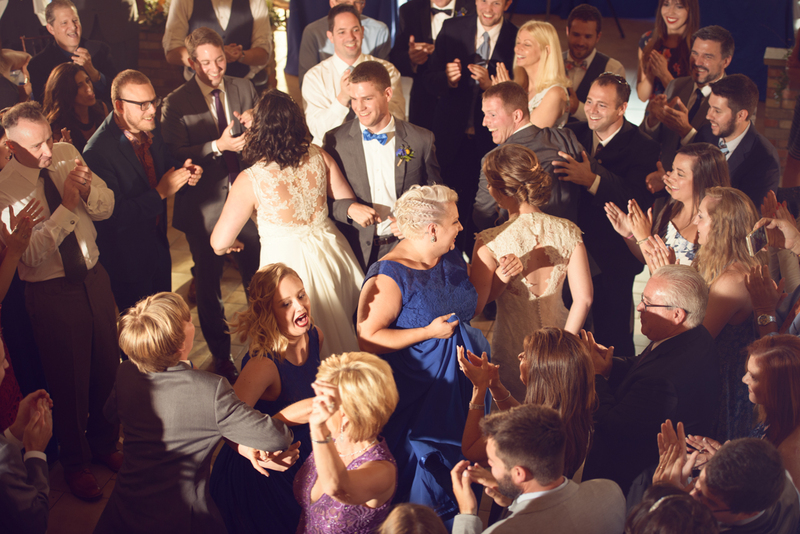 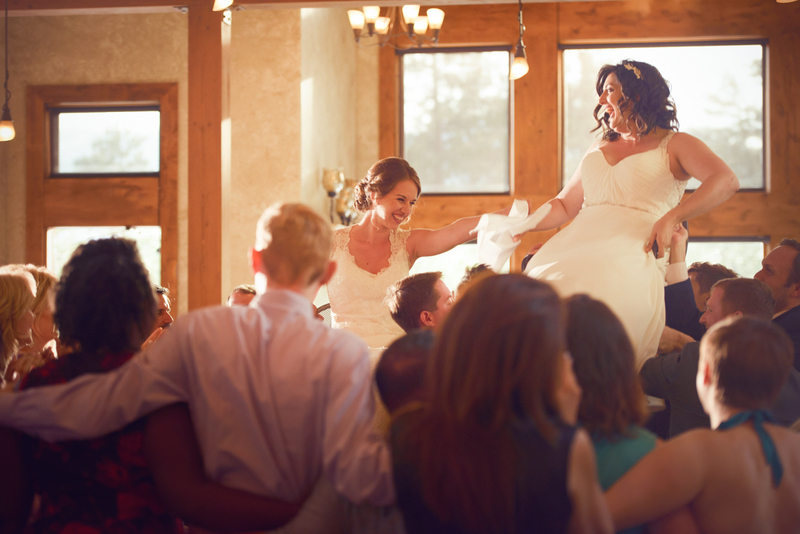 We also felt it in the love that each family brought to this wedding, it was felt during the dances and the toasts. 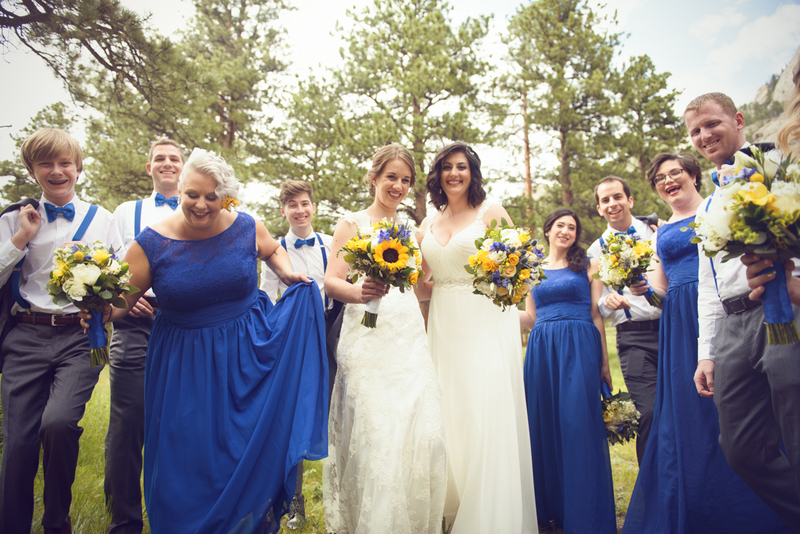 This wedding was truly a wonderful starting point to a loving and happy marriage, and I felt grateful and honored to be a part of it. 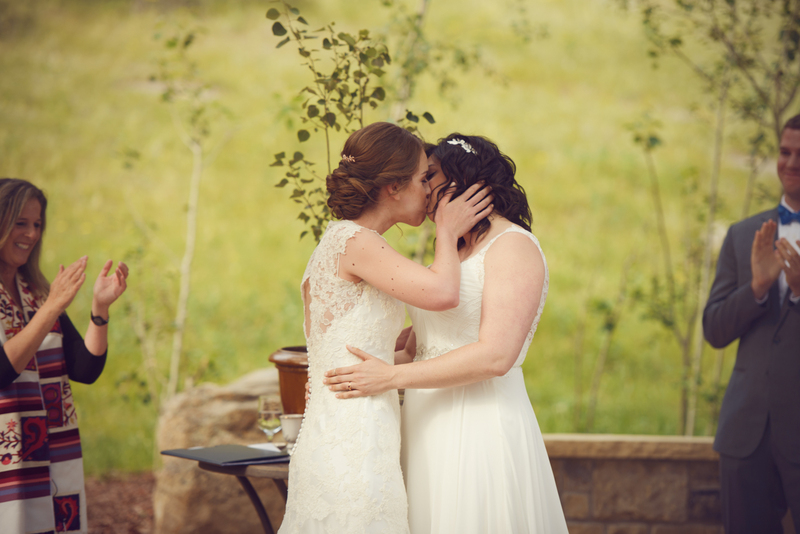 Lauren, Katie, thank you for this amazing day. 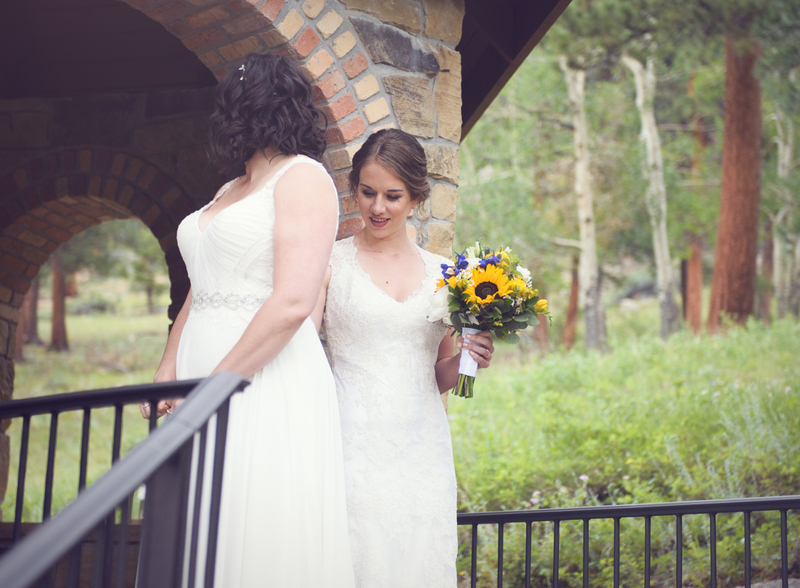 I can’t wait to share the rest of those images with you!